The Varitemp variable temperature cryostat provides a dynamic temperature controlled environment in the range 1.6 to 300K, suited for experiments with an external magnet such as an electromagnet, pulse field magnet, cryogen free magnet or without a magnet at all. To allow this, the Varitemp cryostats have a built-in VTI which extends into a small tail below the cryostat. 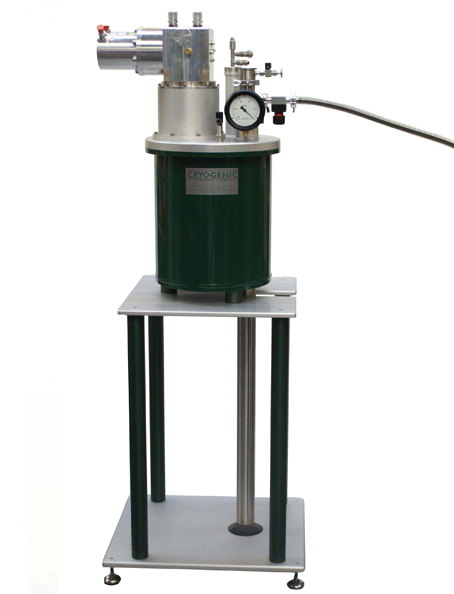 • Cryocooled system using the cooling power of a 0.25 W Pulse tube cryoooler. Therefore there is no liquid helium required to operate the Varitemp Cryostat. The top plate has access for an instrumentation port to take the heater and sensor wiring, a sample space pumping port as well as a NW40KF sample access port. For optimum efficiency when changing samples, a demountable valve and airlock are recommended. 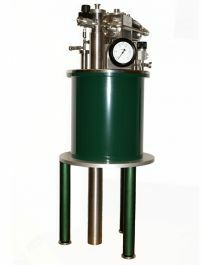 Some Varitemp cryostats are provided with optical windows and make a convenient and low cost way of carrying out experiments at low temperatures down to 1.6K. 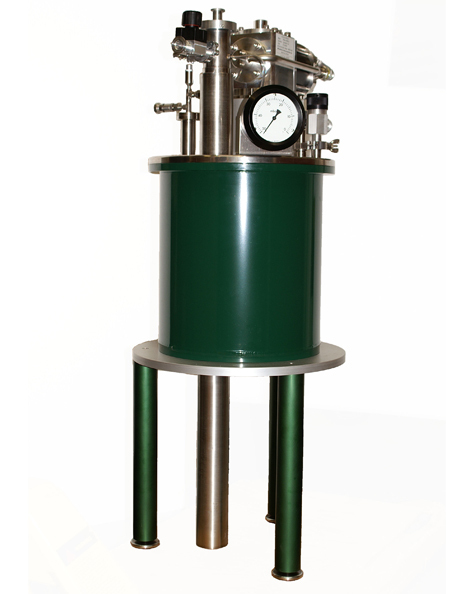 The resultant cryostat is ultra reliable with excellent helium consumption, and may be brought into operation within a few hours.